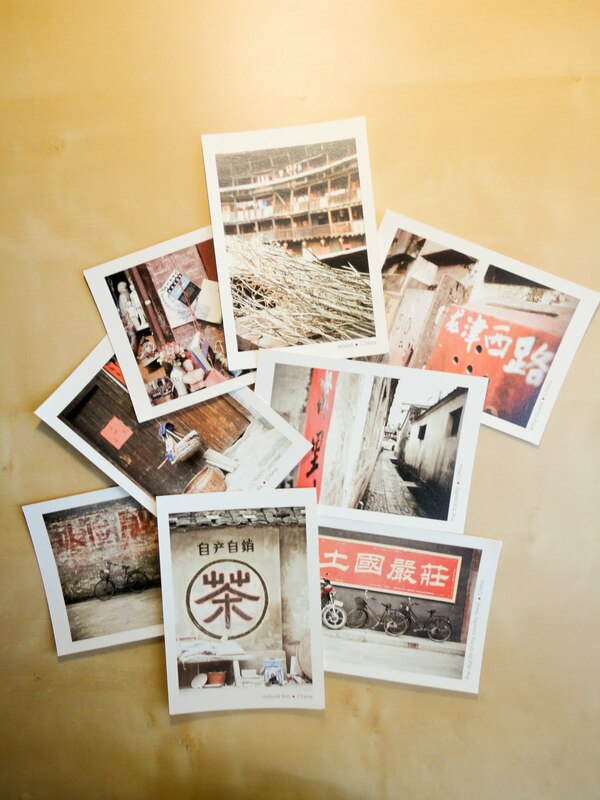 Printed on beautiful archival fine art paper, 260g, bright white and with matte lamination. The photos are taken by DAS. 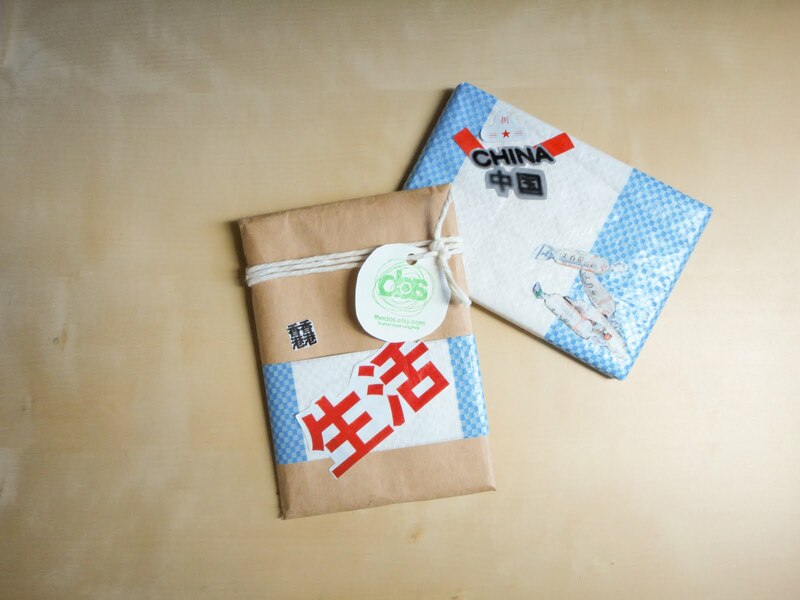 who is a pair of new and fresh designers who fancies simple yet hip design from Hong Kong. PACKAGE of each set is UNIQUE and different. But we'll base on similar tone as above. Postcard 1: A family produces natural tea leaves in a small old village in GuangDong Province in China. 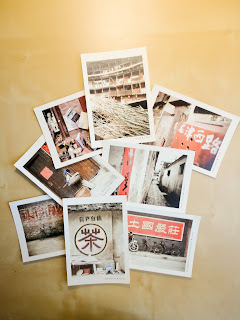 Postcard 2: The world heritage site – FuJian TuLou buildings. It is a traditional and unique style of architecture in FuJian, China. UNESCO inscribed TuLou in 2008 as a World Heritage Site. 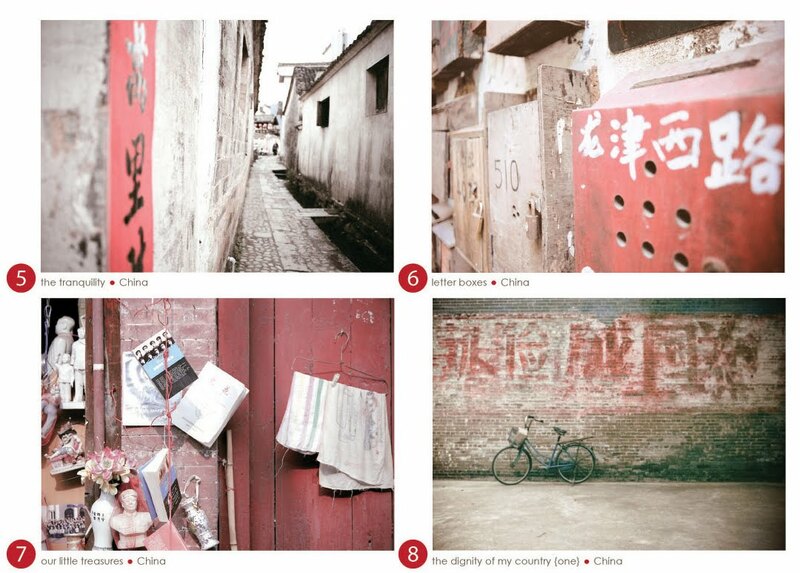 Postcard 3: One of the flats in FuJian TuLou buildings. It is a traditional and unique style of architecture in FuJian, China. UNESCO inscribed TuLou in 2008 as a World Heritage Site. 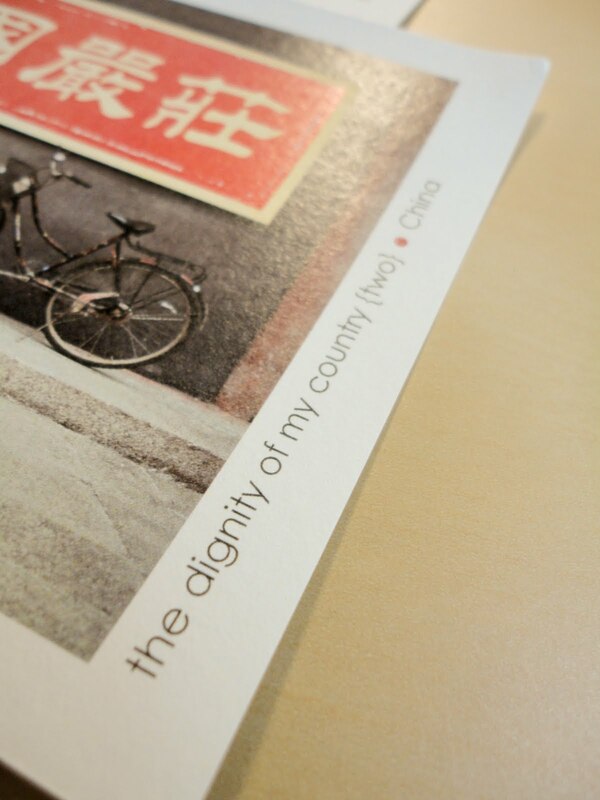 Postcard 4: There’re a lot of slogan and motto in China. You can see them anywhere from outside your home to public buildings. This is a motto saying ‘Maintain our country’s dignity.’ outside a temple in FuJian, China. 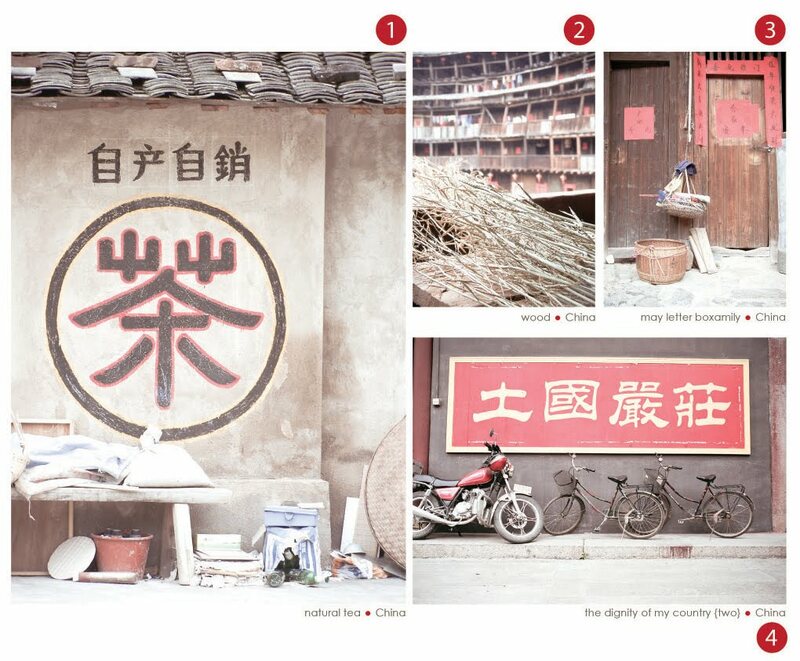 Postcard 5: The village where scenes of the Hollywood film ‘Crouching Tiger, Hidden Dragon’ were filmed. 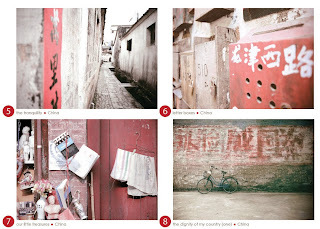 Postcard 6: Tiny vintage postboxes in GuangDong Province, China. 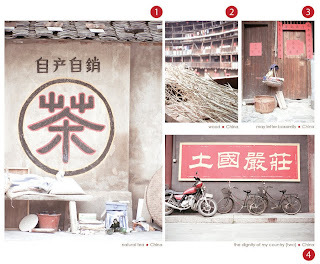 Postcard 7: Outside an antique shop in AnHui Province, China. There you can see many Chairman Mao’s statues and some little decorations. The next shop is closed. You can see there’re 2 towels hanging outside. But they totally fit in the whole environment, like a part of the antique shop. Postcard 8: A motto saying ‘Maintain our country’s dignity.’ outside an old village in China.